What are you doing Sunday? We have a pigskin special you might want to read about. We’ve been in the news lately and even on NBC new last week. If you haven’t heard, Mission Repair (and businesses like Mission Repair) are offering safe and convenient repairs for your trusty hand held electronics (like iPads and tablets) and have been doing so for many years. Did you stock up on Velveeta for this weekend? In fact, 2014 will start our 7th year in business…and the 2014 Superbowl is just right around the corner! This weekend represents a couple of amazing football games. First, we’ve got the New England Patriots playing against the Denver Broncos at 3:00pm est. Brady vs. Manning; this ought to be a great game. Then immediately thereafter, we’ve got the San Francisco 49ers playing against the Seattle Seahawks at 6:30 est. Kaepernick vs. Wilson. Not to be outdone by the earlier game, this matchup promises to be equally as exciting! If you watch football at all, you’re likely finding yourself already making predictions and leaning toward who you think will be in the Superbowl in February, even if your team has already been eliminated from the playoffs. If you don’t watch football at all- that’s ok. Just take a glimpse of a game and pick the team that has your favorite colors – because that probably has more bearing on the outcome of these games that anything else. You get what I’m saying? It’s all up in the air and anything can happen! Here’s what I’m going to do. Do yourself a favor and watch these games. It’s only two – or at least watch the highlights of the games. Whichever of these teams scores the most touchdowns…I’ll give 5% off of your new repair order for each touchdown. So, let’s make this clear: I don’t care who wins or when. But out of these 4 teams, whichever team scores the most touchdowns (extra points, field goals, safety’s are not included) I’m talking the team with the most 6 POINT TOUCHDOWNS we will extend 5% off for each. For example, if the Denver Broncos score 7 touchdowns this weekend, we will offer 35% off of any repair on Monday. So here’s the catch: watch the games and find out which team scored the most touchdowns this weekend. 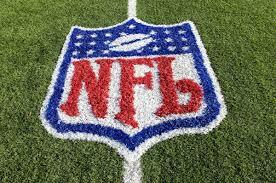 Then call us between 8am and 6pm central standard time on Monday January 20th, 2014 and ask for the FOOTBALL SPECIAL. This offer is valid ONLY ON NEW PHONE ORDERS MONDAY JANUARY 20TH, 2014. If you call before or after our operating hours on Monday, the special will be over! Additionally, you won’t be able to combine this special with any other offer. I mean, I’m really putting myself out on a limb here. 7 touchdowns is NOT out of the realm of any of these teams!! Denver has already done that in the regular season…so it’s completely possible. This is a potential boatload of money savings for you, and a great time to get that iPhone or iPod repaired. Hut, hut, hike! Have a great weekend, we’ll be talking on Monday for sure. It’s 8:55pm and we’re still blogging. Why? Hello everyone, it’s really true. We are still working here at Mission Repair providing the best possible iPhone and Tablet repair service on the planet. I told my sales people that October was going to be big…but we didn’t realize what that really meant. In fact, to hit some sales goals today, my live chat team is still online this evening (normally we are offline at 6:00pm!) and they are still booking orders and taking customer service calls as you require. Chat us up now! As of 8:55pm today we are still available! It’s because we want to be there for you. We want to stay online. We want you to know that we are not a fly-by-night business. It’s dedication that comes from me and all of our employees. Heck even Troy, my general manager is on live chat right now fielding questions and answers. Give him a chat and test it out for yourself! iPhone Screen Repair Needs Fulfilled At Mission Repair! Mission Repair is made up of over 40 collective years of experience when it comes to iPhone repair. We pride ourselves on this number and it grows everyday. On a personal note, I can still remember when we waited in line overnight for the original iPhone, once it was in our hands, we quickly disassembled it, mastered reassembling it and the rest is history! As long as there are iPhones, there will be a need for repair. Mission Repair is a great avenue for iPhone repair for many different reason. Lets take a look at why it is a great idea to choose Mission Repair when deciding on a repair center for your iPhone repair needs. We are not two guys in our parents basement – We know everyone has to start somewhere, but there is a risk by taking your device to be repaired by someone who is most likely not practicing business legally. Come walk into our location 7 days a week to have your iPhone repaired! Dollar focused – We try very hard to always give the best prices. We are humans too and know that living is hard and making a living is even harder. We take this into consideration when setting a price on a repair service. If you search on Missionrepair.com or coupon websites, you are bound to find some great coupon codes as well! Our Warranties are among the best in the industry with a 1 year on all of our screen repairs and lifetime on our battery services! People love us – A lot of our business is word of mouth and we work extremely hard for that! Our customer service is second to none and we treat each customer fairly! Got Repair? This is a benefit unlike any other that you will see and its very simple. If you repair your iPhone with Mission Repair, you will NEVER have to pay full price to repair that screen on that iPhone again! In most cases, we are talking about a 40% decrease in price should you damage your screen again and the best part, its free! You don’t have to pay a deductible, monthly dues and you are automatically signed up for this, just by using us as your repair center! Quality Parts and service – When you use Mission Repair, you are receiving the best replacement parts and those parts are being installed by technicians that are professionally trained to do so! Mission Repair – Nation-wide Original iPhone Digitizer and LCD Screen Repair. 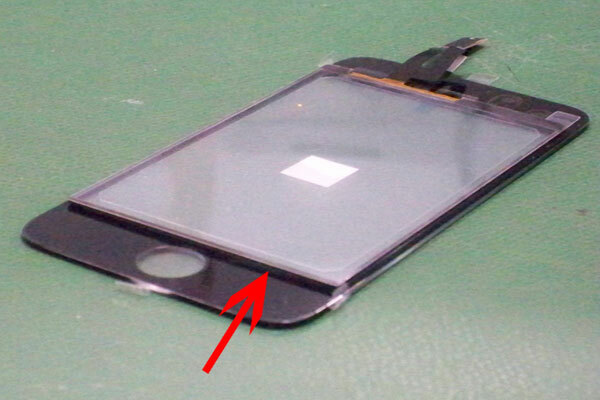 Mission Repair – Nation-wide 3G iPhone Digitizer and Glass Screen Repair. Nationwide 3GS iPhone Digitizer and Glass Screen Repair. 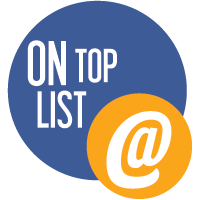 Ok, so that was a fairly long list, but it saves you from having to dig through our website. I think the correct answer to the above question is what iPhone screen do we not repair? The answer to that is simple: we repair the all of ’em! And guess what… Once the iPhone 5S and iPhone 5C hit the market, we will be repairing those as well! Keep in mind that screens are just the start of what we offer and just the start of what could actually go wrong with your iPhone. Unfortunately, we have seen every component on an iPhone fail, break, bust and crash at one point in time. Because of this, we decided long ago to be a FULL SERVICE repair center that would not only specialize in screen repair, but in case replacements, headphone jack repairs, camera repairs, dock port repairs, speaker replacements, all the way down to component level repairs on logic boards! Thats right, if its broken, we can and will fix it! If you have something other than a screen issue, here is a great place to start your search for a remedy: Mission Repair Full Service Repairs! Let me leave you with this, we understand when you are dealing with a damaged iPhone, its a huge inconvenience and it practically puts your life on hold. The way you communicate, your school work, your job, your entertainment and your treasured photos are all in that iPhone. You don’t want to be without it for weeks. You need it working correctly and you need it back in your hands ASAP! We at Mission Repair know this and will work tirelessly to have your iPhone back in your hands in days, not weeks! If you are in the Kansas City area, we can have it back to you in hours! Now, if we can just finish our teleportation machine that we have been working on for the last 3 years completed, we will set records with our turn around time!